To determine 'affordability' you will first need to know your taxable income along with the amount of any debt outstanding and the monthly payments. Assuming it is your principal residence you are purchasing; calculate 32% of your income for use toward a mortgage payment, property taxes and heating costs. If applicable, half of the estimated monthly condominium maintenance fees will also be included in this calculation. In addition to considering what the ratios say you can afford, make sure YOU determine exactly how much debt you’re comfortable servicing. If the payment amount you are comfortable with is less than 32% of your income, you may want to settle for the lower amount rather than stretch yourself financially. Make sure you don't leave yourself house poor. Structure your payments so that you can still afford simple luxuries. A home inspection is a visual examination of the property to determine the overall condition of the home. In the process, the inspector should be checking all major components (roof, ceilings, walls, floors, foundations, crawl spaces, attics, retaining walls, etc.) and systems (electrical, heating, plumbing, drainage, exterior weather proofing, etc.). The results of the inspection should be provided to the purchaser in written form, in detail, generally within 24 hours of the inspection. A home inspection helps remove a number of unknowns and increases the likelihood of a successful purchase. Typically there’s 5-10 business days where one has to meet the “conditions“ that they placed in the offer to protect themselves, in that timeframe is where most people actually have their home inspection. One usually wants to ensure that the lender/insurer have fully approved your deal before spending money on a home inspection. What is the minimum down payment needed to purchase a home? A minimum down payment of 5% is required to purchase a home. In addition to the down payment, you must also be able to show that you can cover the applicable closing costs (i.e. legal fees and disbursements, appraisal fees, interest adjustments, property tax adjustments and so on). These are the costs required to complete your purchase. Regardless of the amount of your down payment, 5% of it must be from your own cash resources or in the form of a gift from a family member and this can also come in the form of borrowed sources, such as a line of credit. Lenders will generally accept a gift from a family member as an acceptable down payment provided a letter stating it is a true gift, not a loan and is signed by the donor. Where the mortgage loan insurance is provided by Canada Mortgage and Housing Corporation (CMHC), the gift money must be in your possession before the application is sent in to CMHC for approval. Mortgage loan insurance is insurance provided by Canada Mortgage and Housing Corporation (CMHC), a crown corporation, and GE Capital Mortgage Insurance Company, an approved private corporation. This insurance is required by law to insure lenders against default on mortgages with a loan to value ratio greater than 80%. The insurance premiums, ranging from 0.50% to 7.0%, are paid by the borrower and can be added directly onto the mortgage amount. This is not the same as mortgage life insurance. A conventional mortgage is usually one where the down payment is equal to 20% or more of the purchase price; a loan to value of or less than 80%, and does not normally require mortgage loan insurance. Depending on the circumstances surrounding your bankruptcy, generally, some lenders will consider providing mortgage financing. Yes; subject to qualification. In fact, even purchasers with 5% down may qualify to buy a home and make improvements to it. For high-ratio financing, both Canada Mortgage and Housing Corporation and Genworth, insured mortgages are available to cover the purchase price of a home as well as an amount to pay for immediate major renovations or improvements that the purchaser may wish to make to the property. This option eliminates the need to finance the renovations or improvements separately. Some conditions apply. Most lenders will accept down payment funds that are a gift from family as an acceptable down payment. A gift letter signed by the donor is required to confirm that the funds are a true gift and not a loan. A pre-approved mortgage provides an interest rate guarantee from a lender for a specified period of time (usually 60 to 120 days) and for a set amount of money. The pre-approval is calculated based on information provided by you and is generally subject to certain conditions being met before the mortgage is finalized. Conditions would usually be things like 'written employment and income confirmation' and 'down payment from your own resources', for example. 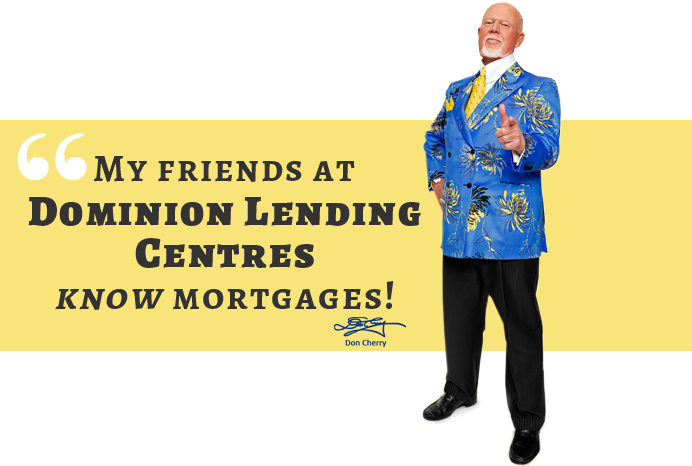 Most lenders send out their mortgage renewal notices offering existing clients their posted interest rates. The rate you are being offered is usually not the best one. This is where your trusted mortgage professional comes in and can handle all of your negotiations for you at no charge to you. Very few home buyers have the cash available to buy a home outright. Most of us will turn to a financial institution for a mortgage; the first step in a potentially long-standing relationship. But even with a mortgage, you will need to raise the money for a down payment. The larger the down payment, the less your home costs in the long run. With a smaller mortgage, interest costs (and possibly insurance fees - for high ratio mortgages) will be lower and over time this will add up to significant savings. The payment of the mortgage default insurance premium (although the amount of the premium is usually added to the mortgage amount). How can you use your RRSPs to help buy your first home? Today, about 50% of first-time home buyers use their RRSP savings to help finance a down payment. With the federal government's Home Buyers' Plan, you can use up to $25,000 in RRSP savings ($50,000 for a couple) to help pay for your down payment on your first home. You then have 15 years to repay your RRSP. Even if you have already saved for your down payment, it may make good financial sense to access your savings through the Home Buyers' Plan. For example, if you had already saved $20,000 for a down payment and - assuming you still had enough "contribution room" in your RRSP for a contribution of that amount - you could move your savings into a registered investment at least 90 days before your closing date. Then, simply withdraw the money through the Home Buyers' Plan. What’s the advantage? Your $25,000 RRSP contribution will count as a tax deduction this year. Use any tax refund you receive to repay the RRSP or other expenses related to buying your home. First and foremost, you have to make sure you have enough money for a down payment - the portion of the purchase price that you furnish yourself. To qualify for a conventional mortgage you will need a down payment of 20% or more. However, you can qualify for a high ratio insured mortgage with a down payment as low as 5%. Realize that even if you have to prove that you have 1.5% available for closing costs, it does not necessarily mean that they will cost you that much. The length of mortgage terms varies widely - from six months right up to 10 years. As a rule of thumb, the shorter the term, the lower the interest rate; the longer the term, the higher the interest rate. While four or five year mortgages are what most home buyers typically choose, you may consider a short-term mortgage if you have a higher tolerance for risk, if you have time to watch rates or are not prepared to make a long-term commitment right now. For most home buyers, this is the largest monthly expense. The actual amount of the mortgage payment can vary widely since it is based on a number of variables, such as mortgage term and amortization. You will also have to cover the cost of painting, roof repairs, electrical and plumbing, walks and driveway, lawn care and snow removal. A well-maintained property helps to preserve your home's market value, enhances the neighbourhood and, depending on the kind of renovations you make, could add to the value of your property. A longer-term mortgage is worth considering if you have a busy life and don't have time to watch mortgage rates. Our 4, 5, 7 and 10-year mortgages let you take advantage of today's rates, while enjoying long-term security knowing the rate you sign up for is a sure thing. The interest rate on a fixed-rate mortgage is set for a pre-determined term - usually between 6 months to 10 years. This offers the security of knowing what you will be paying for the term selected. A mortgage in which payments are fixed for a period of one to two years although interest rates may fluctuate from month to month depending on market conditions. If interest rates go down, more of the payment goes towards reducing the principal; if rates go up, a larger portion of the monthly payment goes towards covering the interest.